There’s no doubt in the trends. Focusing on the customer experience is at the top of the priority list for most companies. Personalization plays a key role as top organizations strive to make experiences as compelling as possible with the integration of artificial intelligence and cloud-based technology. 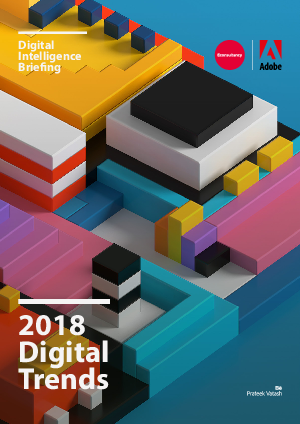 To understand and prioritize what your next big moves should be, read The Econsultancy 2018 Digital Trends report.